You Save: $1.98 (10%) Ships in 1 day. Publisher: St. Louis Post-Dispatch Books, 2011. St. Louis Post-Dispatch beer columnist Evan S. Benn explores the city's connection with liquid gold, from the earliest days of lagering caves beneath the Lemp and Anheuser-Busch breweries to the craft beer renaissance happening today. 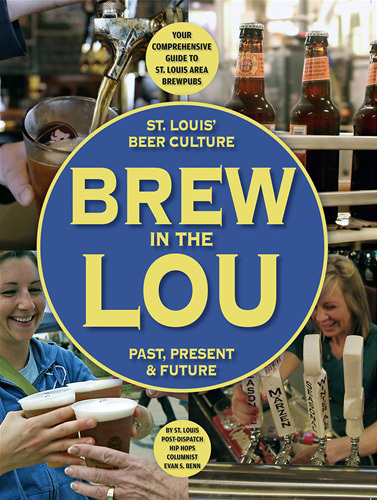 In "Brew in the Lou," see how beer helped put St. Louis on the map, and how it is poised to shape the city's future. Benn talks with brewers, beer enthusiasts and more to tell the story of St. Louis' fascination with suds, including a look ahead to what's in store from the new generation of locally owned, small-production breweries and brewpubs. 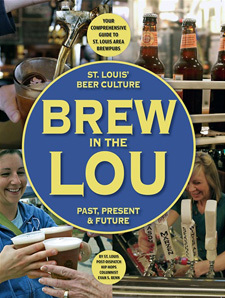 Chock full of photos, facts and other useful information, "Brew in the Lou" is a must-have for anyone with a thirst for St. Louis beer knowledge.